Creating and maintaining a compost pile is the best way to have a healthy garden. You’ll not only be generating the best fertilizer for your garden, but you will have healthy soil. 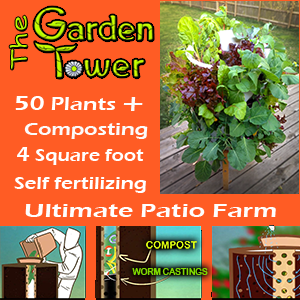 You will see first-hand how leaves, food scraps, and grass clippings can be converted into nutrient-rich compost infused with earthworms and other soil organisms. The secret to a rich compost soil is the perfect combination of compost ingredients. If you use the wrong proportions, then you are likely to generate poor quality compost with an offensive odor. In order to achieve the best quality compost soil, use this list of ingredients in the correct proportions to blend together an ideal compost mix. Brown materials contain carbon. Good types of brown material are newspapers, cardboard, dried leaves, sawdust, wood chips, eggshells, and tissue paper. Newspapers, tissue paper, and cardboard must be shredded before they are added to the composter. It is important to note that you should use newspapers printed in black and white with full vegetable oil-based ink. Don’t add papers printed with color ink to the pile. Hard cardboards must be torn into tiny pieces or shredded before adding them to the compost pile. Sawdust and wood chips have low nitrogen content and they tend to be broken down very slowly. Sawdust must be used in very thin layers or combined with a green material like food scraps or grass clippings. Big wood chips are often used as a mulch because they take a very long time to decompose. Make sure that you don’t use chemically treated sawdust or wood because they are known to add arsenic to the soil. Dried leaves are superior ingredients for a good compost. Autumn leaves have a high carbon content and other nutrients that can be absorbed into the soil. It is best to shred the leaves before loading them into the tumbler because whole leaves tend to stick together and block the airflow. It is best to avoid walnut, oak, and waxy leaves because they break down very slowly and require a separate composting process. Eggshells are an excellent ingredient to add to the compost pile because of their high calcium content. However, they tends to break down slowly, so you need to crush them thoroughly before adding them to the pile. If you put food scraps into your compost tumbler, be sure to balance it out with a larger amount of any of these types of brown materials. If you overload your tumbler with brown materials, you will end up with a compost pile that takes longer to decompose. The right amount of brown material is needed for a faster composting process. Ideally, you should follow a ratio of 3:1 of brown and green materials, which means a higher volume of brown materials to balance the green materials. When it comes to the weight of the materials in the compost pile, a 1:1 proportion is recommended. You should load an equal weight of green and brown materials. Green materials contain nitrogen. Green materials include grass clippings, vegetable peelings, seaweed, and manure. Grass clippings have a high nitrogen content. Add thin layers of grass on top of each layer of brown material. You can also combine grass with other green ingredients. Don’t add too much grass at once because it tends to clump and block aeration. If clusters of grass clippings are formed, they will emit an unpleasant ammonia-like odor as the materials decompose. 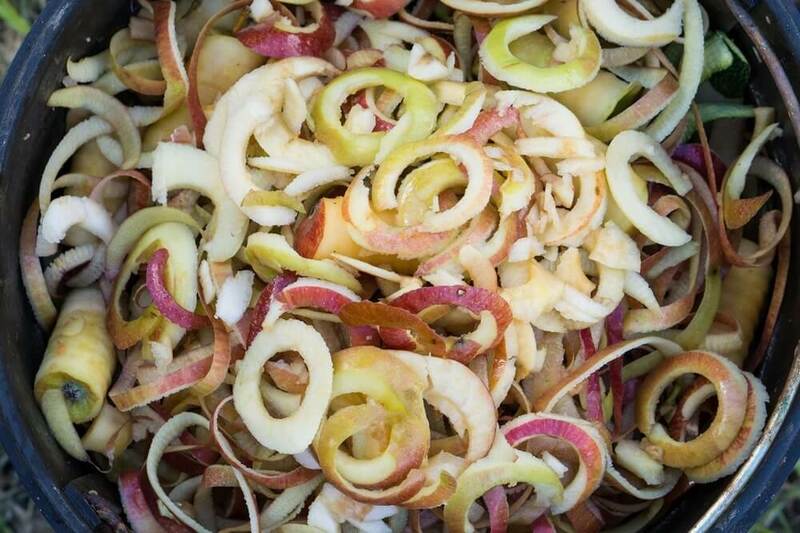 Vegetable peelings include fruit and vegetable scraps. Cooked vegetables are not recommended because cooking oil may decelerate decomposition and attract pests and rodents. Seaweed is rich in nutrients that can insulate the compost pile for a faster composting process. Before adding seaweed, wash it to eliminate salt. Manure has high nitrogen content which will hasten the composting process. You can use manure from horses, cows, and chickens, but don’t use manure from dogs, cats, or pigs because they can have parasites that can cause human illnesses. It is important to note that if you put weeds in the tumbler, make sure that they have no seeds. Don’t load too much green in the tumbler or you will produce a greasy compost pile with an offensive smell. If this happens, you can rotate the tumbler for better aeration. Compost accelerators have a high nitrogen content which quickens the composting process. If you want to speed up the composting process, you can boost the decomposition by adding some compost accelerators like a manufactured compost starter that has a balanced blend of nitrogen and microorganisms. You can add the accelerators when you layer the brown and green ingredients. When combined thoroughly with the food and garden scraps, the accelerators can help initiate the composting process at a faster rate. In addition to the proper ratio of green and brown materials, the compost pile must be oxygenated to nourish the microorganisms present in the compost pile. You can oxygenate the compost pile by spinning the tumbler. With this motion, both brown and green materials are broken down with the help of better air circulation. It is best to aerate the compost pile regularly to keep the brown and green materials from clumping together and blocking the airflow. This aeration process also reduces any bad odors that may occur due to a lack of oxygen. Keep the compost pile moist inside the tumbler so the bacteria will multiply for a faster decomposition rate of the green and brown materials. It is necessary to check the compost pile regularly to determine its condition. If the material is too dry, you will need to add water. You want to maintain a damp sponge consistency. Don’t add too much water or the compost pile will become soggy.